As a reluctant vegetable eater, I’d love any way I can sneak vegetable into my dessert. 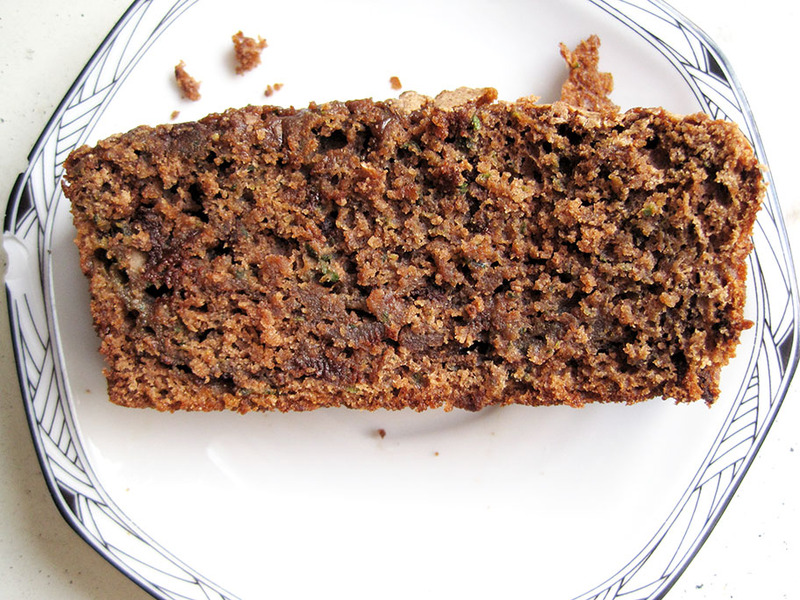 Summer is when zucchini is in abundance, and while I heartily enjoy a simply-seasoned zucchini roast, I’m actually a big fan of zucchini bread. The biggest reason why this is the case is because you barely taste the vegetable. It adds moisture and fiber while adding a touch of earthiness to an otherwise too-sweet confection. 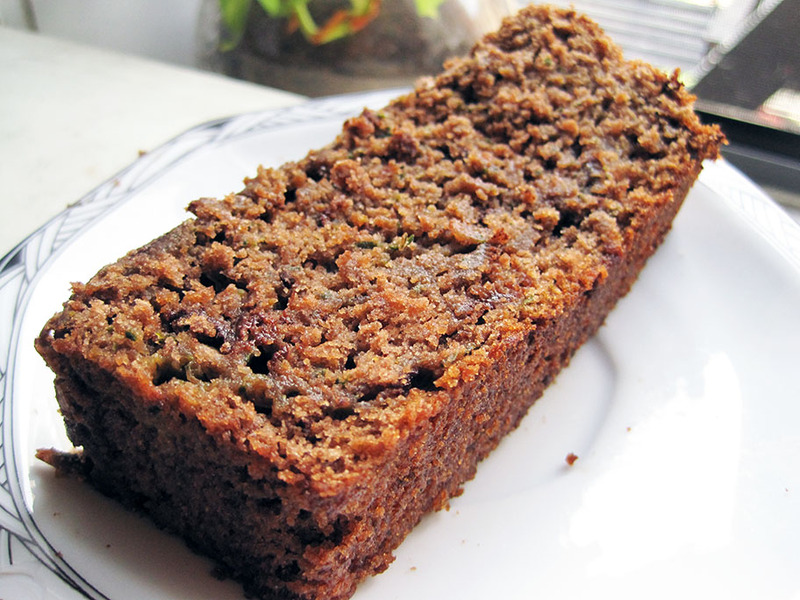 I don’t make zucchini bread more mainly because a) grating zucchini is so tiresome and b) I’m more of a cookie girl myself. Crunch over crumb! I chose this recipe for its simplicity. There weren’t any funky ingredients that I didn’t already have in my pantry. Zucchini being as forgiving as a baking ingredient as it is, I added in about a 1/4 cup than the original recipe stipulated (didn’t want to waste that last nub of vegetable!) and reduced the oil needed. I also subbed half of the flour with Carol Fenster’s baking mix of 1 cup rice flour, 1/2-3/4 cup potato starch and ¼ cup tapioca starch. I also judge a recipe by the number of bowls I need to use, and this just used two. Yay for fewer dishes! The texture of the cake ended up quite moist, if a tad too sweet. I may reduce the sugar by two to four tablespoons in the future. The cake didn’t have as much volume as I would have liked, but it was still appropriately fluffy and voluminous. Preheat oven to 350 degrees F. Grease a 9×5 inch metal loaf pan. Stir together flour, baking powder, baking soda and salt; set aside. Beat eggs with an electric mixer. Gradually add sugar and continue beating until light. Reduce speed of mixer and beat in vanilla, cocoa powder and oil. By hand, stir in the flour mixture. Fold in zucchini and chopped chocolate. Pour batter into pan. Bake at 350° for 60 minutes or until a wooden pick inserted in center comes out clean. Cool in pan.